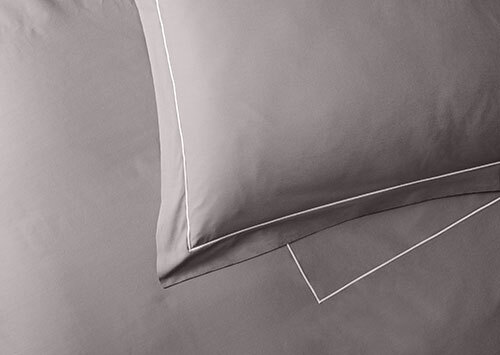 Designed for an impeccable look and touch, this Deluxe linen set is finely crafted in Italy of 600-thread-count sateen cotton. 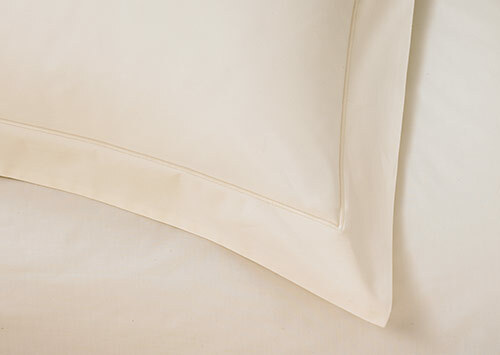 Sateen has a silky-soft feel, lustrous appearance and beautiful drape. 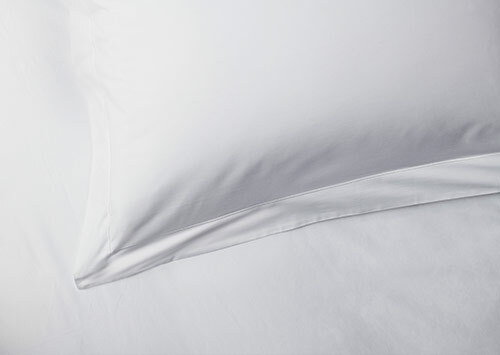 Our Sofitel linen set is complete with a duvet cover, flat sheet, fitted sheet, two pillow shams and pillowcases. 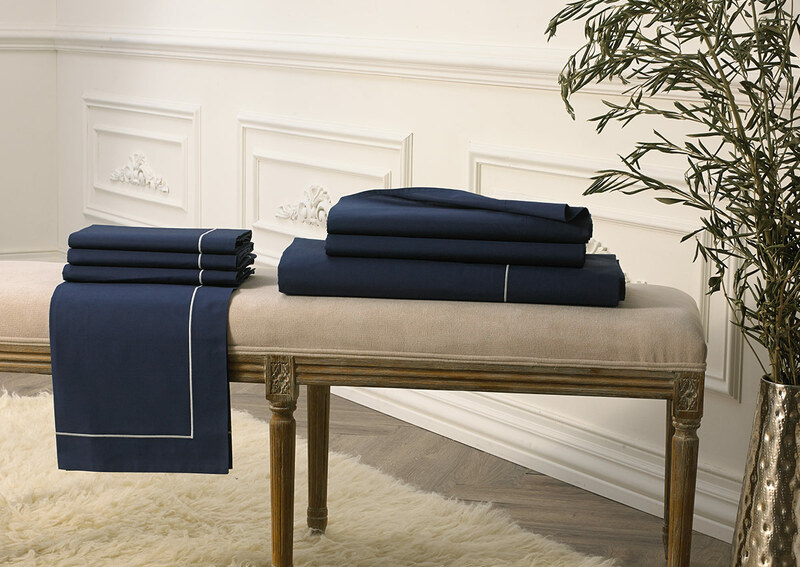 The deep blue duvet cover and pillow shams feature an embroidered border trim in light grey.